Now that it's Spring, and love is in the air as the cliche goes, I'm in anticipation of wedding season. Two of my girlfriends are tying the knot to their long-time loves, and they are the last of my circle to get married. I just love weddings. If I could be a crasher, I probably would take the risk. I could blend in, right? Anyway, the only problem I'm facing is that I have no clue what to wear to either. Ridiculous...some style blogger I am! Both weddings are outside on a lawn, and both will undoubtedly involve the Temecula heat. Keeping cool is a major concern of mine. My husband is in both weddings, but I for once can watch as a proud guest. I love that I can just sit back and relax this year and let him squirm while he gives a toast. Here are two dresses I'm thinking about, both already ordered. Unfortunately, this one by Olivaceous is already sold out at Bloomingdale's but they come back in stock quite often so I will let you know when I find another. This dress is originally from Express from a few years back. Bottom line - I once was the happy owner, but then donated it on a whim and it was such a mistake! The color and the style are beautiful, and I think it'll be perfect for an outdoor wedding. I did receive this already from an Ebay seller but it doesn't quite fit so I'm going to work hard to get back into shape and make it work. I've wanted this Eliza J dress since last Summer so I think I may just try it. It comes in petite too. You can find it at Nordstrom . I would wear this beauty anywhere! 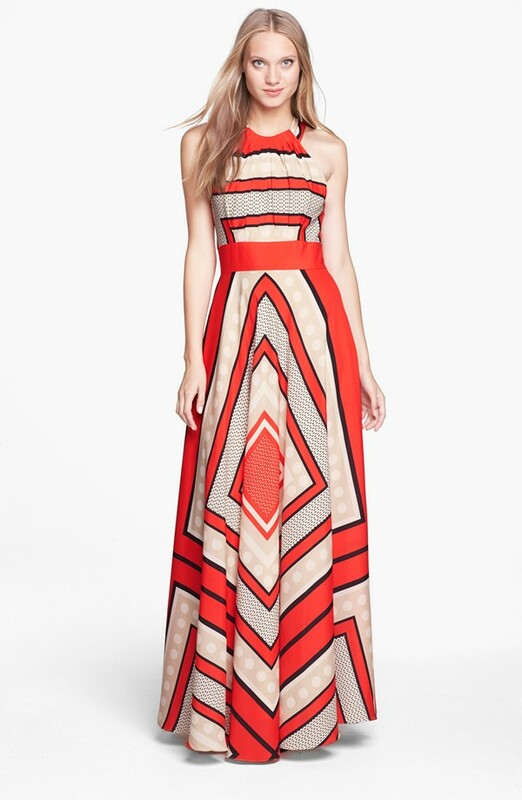 Here's another maxi from Eliza J. It's quite pricey, but I think it's versatile enough for a lot of people. You could definitely dress it up or down. Also found at Nordstrom. I have this pinned on one of my boards. I think it would be adorable for a more casual wedding. I'll let you ladies see what I end up going with. I want all of these dresses just for Summer, not even necessarily for a wedding. They are all gorgeous! Speaking of gorgeous, I just received my first Rocksbox in the mail yesterday and I couldn't be happier with the three pieces they sent to me. If you haven't yet heard of Rocksbox, it's monthly subscription service that gives you three jewelry items. For 19 dollars a month, you get a personal stylist that curates a box of baubles for you that suit your style. You can either buy them or swap them out for something else. Get your first month free with code BEACHFIRENKXOXO! Stay tuned next week to see how I style these. Two of my best friends are getting married this year too but I'm in the wedding so I don't have any dress shopping to do! I love that blue dress and the nautical dress is gorgeous! I was thinking about trying rocksbox too! They sent you some pretty pieces! Thanks Danielle! Being in weddings is so much fun too. What an honor to be able to stand by a friend during such a special moment. I've loved being a bridesmaid! I'm hoping to get that blue draped dress soon so I can finally figure out what I'm wearing! Fingers crossed it fits, especially now that it's sold out and not sure if I'll be able to exchange it. Rocksbox is awesome! I love that it's designer jewelry and not just no names. How fun to have so many weddings coming up and so many reasons to get dressed up! Sorry that the green dress didn't work out but hopefully it will be a good motivator. And crossing my fingers that the blue one is The One. It's gorgeous and will be so flattering on you!! I adore the coral one - it will look so pretty on you! 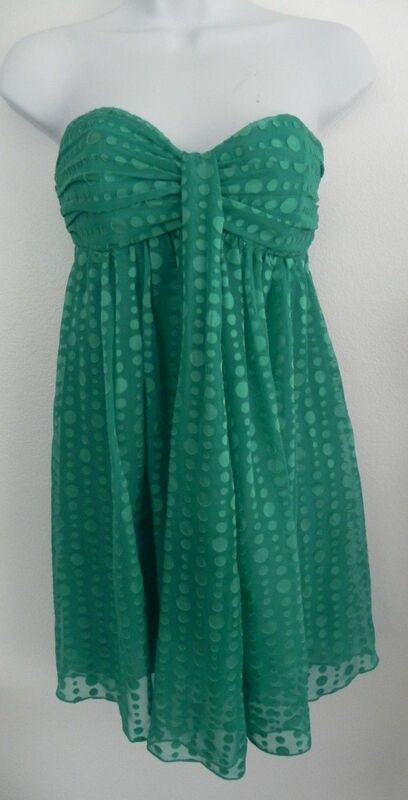 I love the green dress - I have given things away and wished I had them still so many times! I love all of these! I'm dying for an Eliza J dress as well! I love the dresses you found. Wedding season is so fun. I just signed up for Rocksbox, and I am pumped.